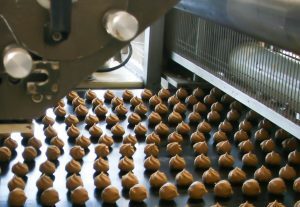 LTD ‘’Adugs’’ is one of the biggest producers of confectioneries in the Baltic states, and the corporation exports their products all over the world. Unceasing development and the never-ending search for new solutions, whilst increase the product range, is the companies key to success in remaining as leaders in the market, and 3D printing is an excellent way how to accomplish this task. Adugs employees have used the Mass Portal Pharaoh XD 30 3D printer for only half a year, and are still in the introduction stage with it, but they have already found many innovative uses for the 3D printer in daily production and ways that help to make their jobs more efficient and easier on a day-to-day basis. 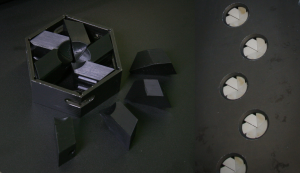 A fraction from the printed objects are still being tested and improved upon, but the rest are already being used in practice. Head engineer Pavels Laizans after relatively short period of working with the Mass Portal Pharaoh XD 30 printer has already spotted and utilized the two of the most important ways of use – producing parts for machinery using the help of 3D printers and also the production of new parts that allow to create and release new products much faster than ever before. Mostly businesses around the world use 3D printing to create prototypes of the products, whereas Adugs have found ways to use the printed objects as functioning parts, which at the end of the day allows them to save financial resources and precious time. The production lines machinery is very expensive, and so is every single part that is broken or needs replacing. A company, that constantly produces variety of cookies, crackers, waffle cakes and handmade culinary masterpieces for major chain stores, cannot afford to stop production due to a one or a couple of broken parts, resulting in them losing out on profit and new clients. ‘’If any part of our machinery breaks, we need to order it from the manufacturers, and as it is abroad, we end up waiting for weeks before receiving the part, which impacts our production, as the problem either slows down or causes production to stop. However, with Mass Portal printer we can create the part in just a few hours. Creation of the most complicated parts may take a few days, as we are still in the learning stage at working with the 3D printer,’’ says main engineer Pavels Laizans. Already, Adugs employees have printed a functioning dough molding formation glass, which is still in the testing stage. ‘’But we have found an alternative for the expensive production line’s diaphragm parts. 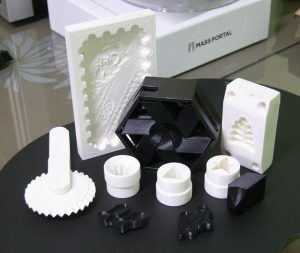 36 of these parts costs more than 5 thousand euros, whereas with Mass Portal Pharaoh XD 30 printer with the Polymaker PolyMax material, we can create them in high quality in a few days for the small price of 60 euros, which allows us to save lots of money and time. I do not see a reason why it should not function just as well as the parts we have used until now,’’ says P.Laizans. 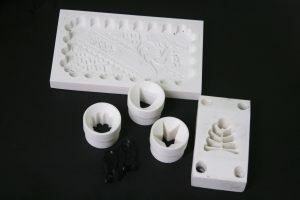 ‘’The molds are required in non-standard designs and only few duplicates, therefore it is a very expensive and time-consuming process, as you have to consult and discuss the molds with engineers, wasting a lot of time, as we can do it much faster and create a larger variety of designs, allowing us as a business to grow much quicker.’’. 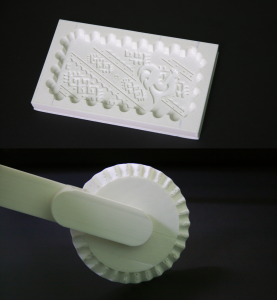 The 3D printer is used for individual orders from clients, such as a project with Jekaba Graubina Livani music and art school in which the children created a drawing and Adugs using the Mass Portal printer created special customizable design template for pryaniki (traditional Russian cookies). The demand for this type of products is quite high, and Mass Portal 3D printer allows realizing the expectations of our customers as it allows creating everything necessary for little cost in less time. Adugs has also created a prototype for a dough-cutting knife, which is specialized for their needs. It is also possible to use the knife not only as a prototype, but also as an instrument in handmade products. Adugs main engineer is convinced that there will be many more parts created for many different production machines, and for creation of new products. The company has grand plans that involve 3D printing, just a little bit more time is required. Newest technology such as 3D printing is a reason why the business has been able to satisfy the increasing demand and range of customers and still keep the same low prices, at the same time guaranteeing the high product quality that meets the world standards.